Pro bono composition for charitable cause with the amazing Sydney Story Factory. 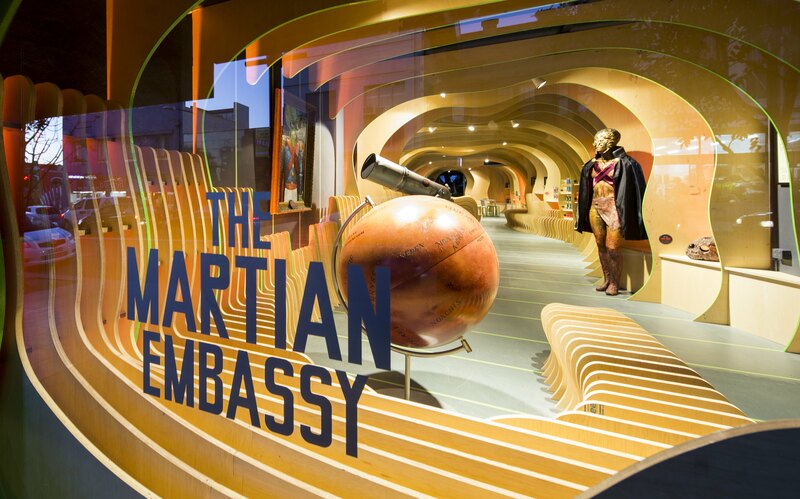 Giving kids an immersive learning experience that’s out of this world. The composition was reproduced throughout the space via a dedicated (donated) computer and multichannel soundcard to distribute spatially. Photos of the finished product here.